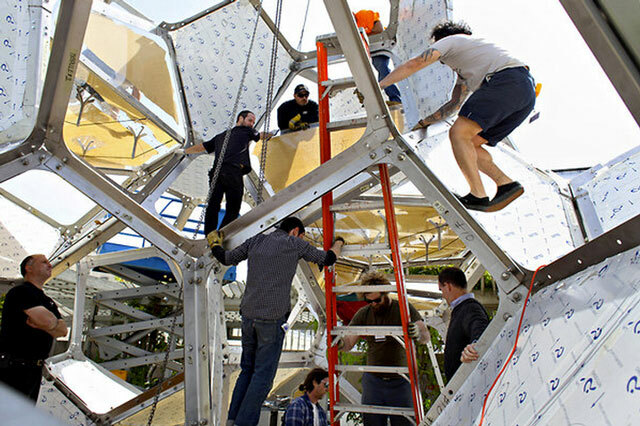 “Cloud City” by Argentinian artist Tomás Saraceno is a futuristic modular structure that is currently being installed on the roof of the Metropolitan Museum of Art in New York City. The structure consists of 16 connected modules of stainless steel and acrylic. 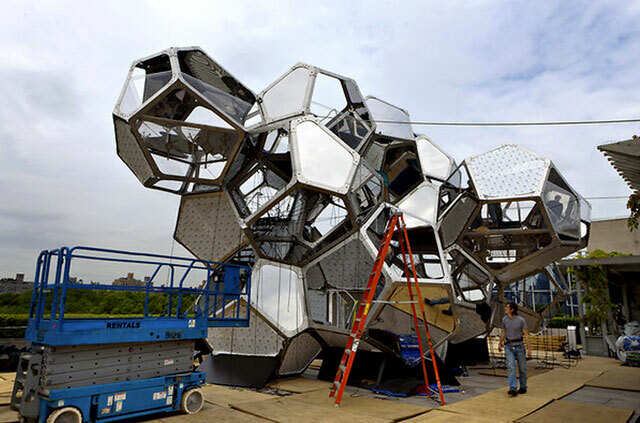 Visitors will be able to explore the structure during its temporary stay on the Met roof, May 15 through November 4, 2012.